Three years ago I was in Córdoba. Rather like this morning in Melbourne, I woke to rain, but back then, I dressed in a rush and stepped out across cobbles made slippery by fallen orange blossom, to attend a service at the Mezquita. And the breakdown suffered by my theologian. “I am so afraid,” he said more than once. Some readers tell me they found him difficult company, and were glad when we parted. I’m sorry for that. I suppose they’re experiencing him through my eyes, feeling my wish for solitude and freedom from his sadness. His breaking. I’m grateful I was there to be with him that day in Córdoba. For all that it was hard, and I was not having the solitary camino of my dreams, what passed between us was honourable. Decent. He broke. I bore witness – and gave some small comfort. It was an exchange that cost us both, but also enlarged us, I hope. It’s not always easy or pleasant to bear witness to the fullness of another person. It’s also hard to allow someone else to see the fullness of ourselves. The “Facebook selfie”, selected to give just the right airbrushed impression, has become ubiquitous, and we are in danger of becoming less and less able to sit in the discomfort of another’s full humanity – their contradictions, errors, ugliness and frailty. Also, and this may be more of a “sin” than we care to acknowledge, we become less and less able to reveal our own frailties and ugliness. Or is that a confession? I should know by now to be wary of speaking for “we” and “us”. Generalisations and sweeping claims are dangerous, and all I know is the compass of my own limited experience. Lately I feel that diminishing. Fear and doubt sidle up to me more often than I’d like. 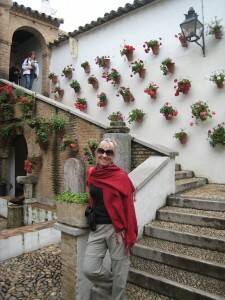 There are days when I can’t listen with care or patience as I did in Cordoba. 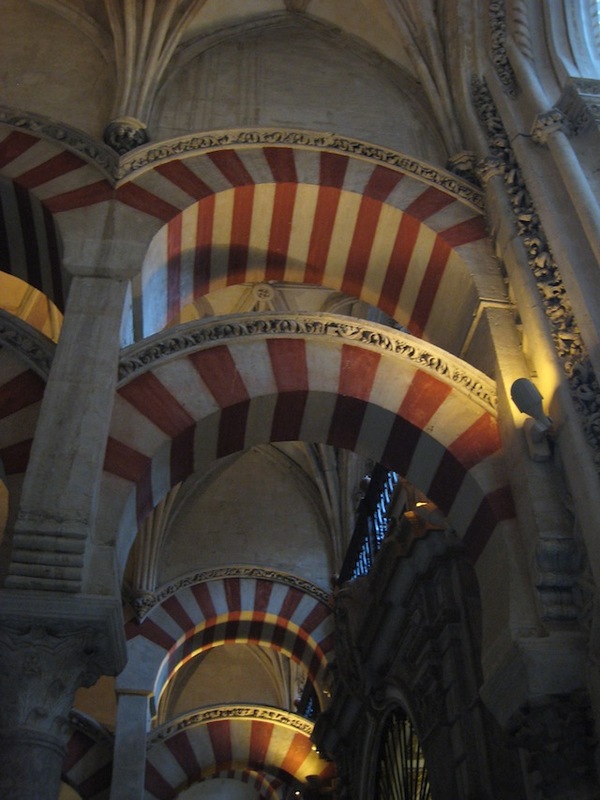 There are days when I am not true to myself – to the person I was in Cordoba, for all her shortcomings. And there are days when I will only serve up the tidy, edited version of myself. For all of that, I’m sorry. I suppose that does make this is a confession, then. And I will try to do better. Funnily enough, I’d intended to write of “good news”today, because there’s plenty of it. 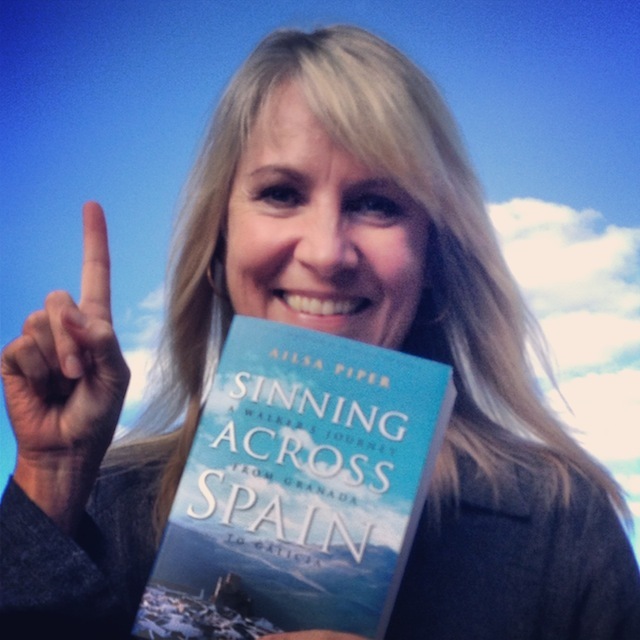 “Sinning Across Spain” has just come out in a beautiful scaled-down B version that sits in the hand perfectly. It was released on April Fool’s Day, exactly one year after the original publication date. I think of that fool’s day as my day, so the serendipity pleases me. And there is more to celebrate! I’m going to be at the Sydney Writers Festival on May 23rd, in conversation with the luminous Caroline Baum, and the remarkable Cheryl Strayed, who wrote “Wild”. Details are on the Festival website. My intention when I sat down was to write about those two pieces of news, but somehow it didn’t seem right to pump out “publicity” here. I strive for something real in my community of subscribers and commenters, and feel I owe something to this village – fidelidad. As I learned with my amigo, it is in fidelity to self and others that we expand. So on this rainy Melbourne day, let me confess that I’m not always walking with a sure step just now, and writing eludes me at times, but I’m doing my best and trying to live up to the faith that people have in me. That faith spurs me on, and lets me believe that the sun will reappear, and with it, perhaps even the scent of neroli. Back in the late 1980s when the nation was gearing up for its 200-year anniversary of January 26, 1788 – I thought to write an essay on my family – (some of whom had arrived with that British invasion/settlement beginning – others since – and with probable links to Indigenous Australia – as well as a myriad of other ethnic/cultural backgrounds). I was stymied by the Keeper of the Holy Kable Grail and unable to place a paragraph into the little Family Newsletter which that person controlled. Instead I then placed an item in the SMH – and responses came to me from Central Queensland, Brisbane, and across NSW/Sydney. I am to attend the funeral in Sydney – of one of those people who responded – on Wednesday. There is a memorial marble wall plaque to one of her ancestral links in the ancient Francis GREENWAY designed church of St James in Sydney – William Vandermeulen WILD – a member of the Legislative Council in the late 1850s – then a magistrate – and dead at age 26 in 1861 – a eulogising poem to him exists – written by Henry KENDALL. My kinswoman’s husband was a descendant of Billy BLUE – via his daughter Susannah – who married George LAVENDER. Those of you who know Sydney know Blue’s Point (Harry SEIDLER’s stunning [if controversial in the opinions of some] tower stands there now) – part of a land grant given to Billy BLUE by Governor Lachlan MACQUARIE – his ferry service plying between there on Sydney’s north side to the rear of The Rocks on the south side. And Lavender Bay – named for George L. – around from Lunar Park – down from Milson’s Point Station – encompassing Wendy WHITELEY’s “Secret Garden”. I am sitting here with Black Founders – the 2006 Cassandra PYBUS book which illuminates the stories of 11 African-Americans – mostly of ex-slaves who joined the British forces during the Revolutionary War (1776-1783) – evacuated to the UK – then ending up in “Botany Bay” with the First Fleet – and in addition – Billy BLUE – same origin – but arriving in 1801. 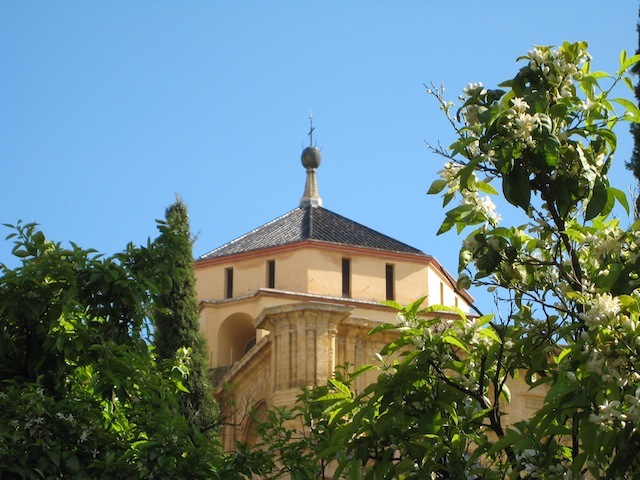 What I have written bears almost no relation to your focus – Córdoba and “your” theologian – about listening for/to the pain of others – but there is much activity in my brain at this suggestion – a flaring of thoughts for friends in various ways suffering torments and anxieties. And then you say you’ll be at Writers’ Week in Sydney. Some Sydney friends off to France have offered me their house – mentioning specifically that it will be Writer’s Week! I will be in your session for sure – not necessarily to speak – just in support! Brava! Wow!!!! What stories Jim. It seems to me that you are on the verge of writing them in full – or maybe blogging on them? You could do a wonderful pictorial of those places and your connections to them. Intriguing. Had never thought that Blues Point and Lavender Bay were about people – excuse my ignorance of Sydney’s history. I will ride those ferries with a different mindset now. Thanks for saying you will come along on the 23rd. It will be lovely to have some support in such a big venue. Thank you for you continued message which inspire me each time I read them. It captivates me, like looking at the night sky and gazing at the moon and stars and wondering if there anything out there. 1st April and the Fool’s journey,I like it. Way too heavy a load! Oh I have just finished your book and have discovered your blog, and colour and photos!! Yay.